In the past, we have posted plenty of Android development courses through the DL Deals Store, but sometimes, people may not want to front cash for a program they are not sure about. 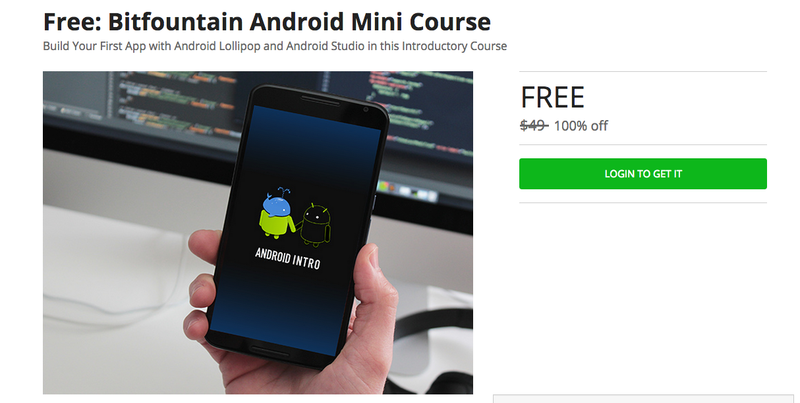 In the latest deal, you can grab an introductory course to Android development for absolutely free, which will help you create your first little Android app. In the Bitfountain Android Mini Course, you gain access to 9 in-depth lectures, complete with a challenge activity. During the process, you will learn to work in Android Studio, the official integrated development environment (IDE) for Android app creation. You will also receive a basic introduction to Java. Again, this course is free of charge, so there’s to lose. If you want to try your hand at app development, give it a look.